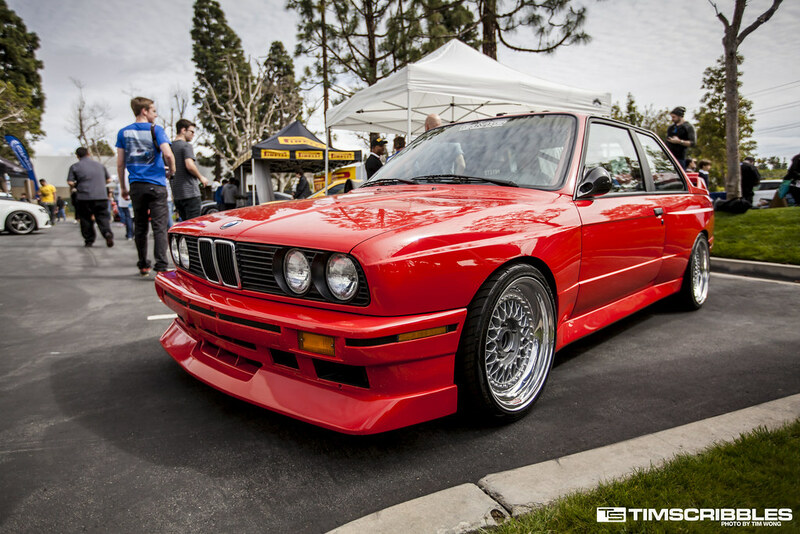 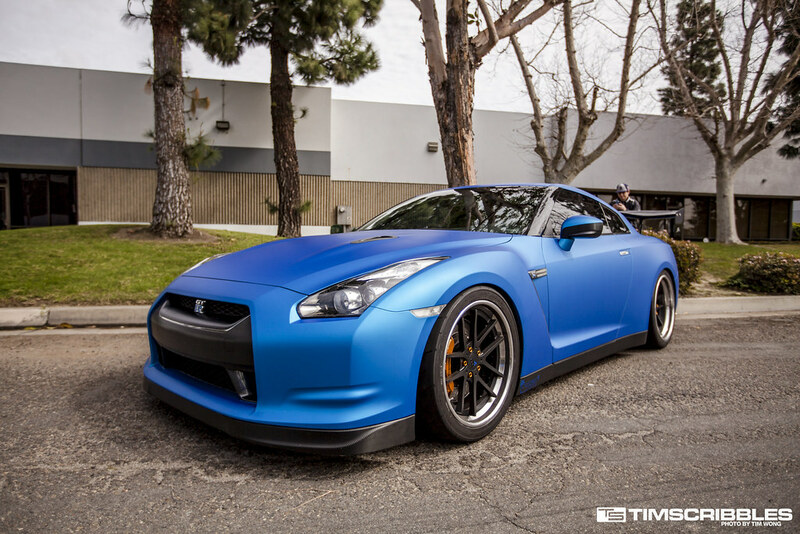 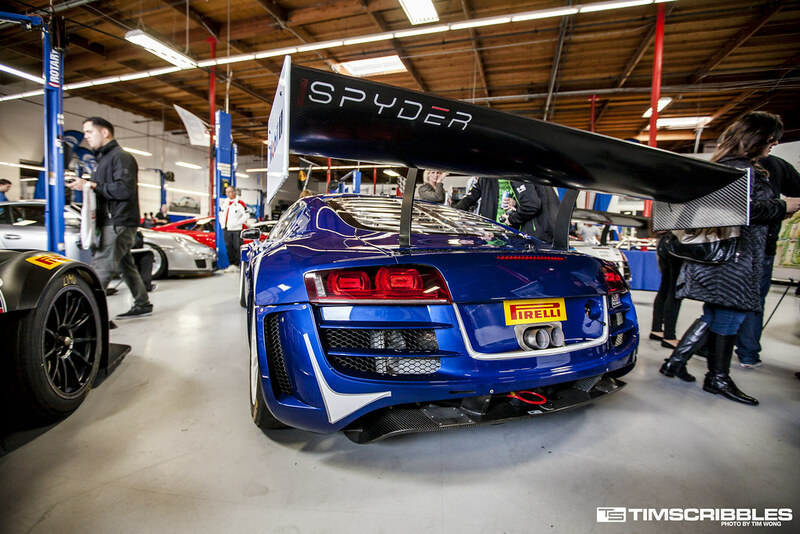 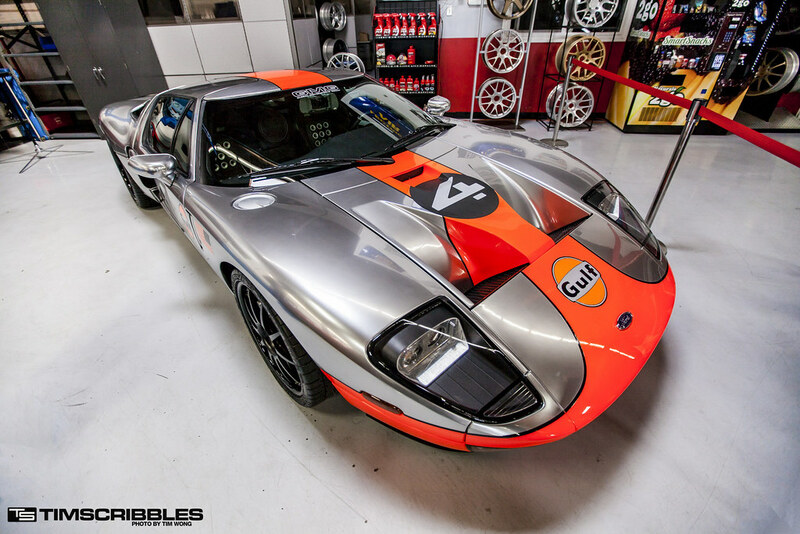 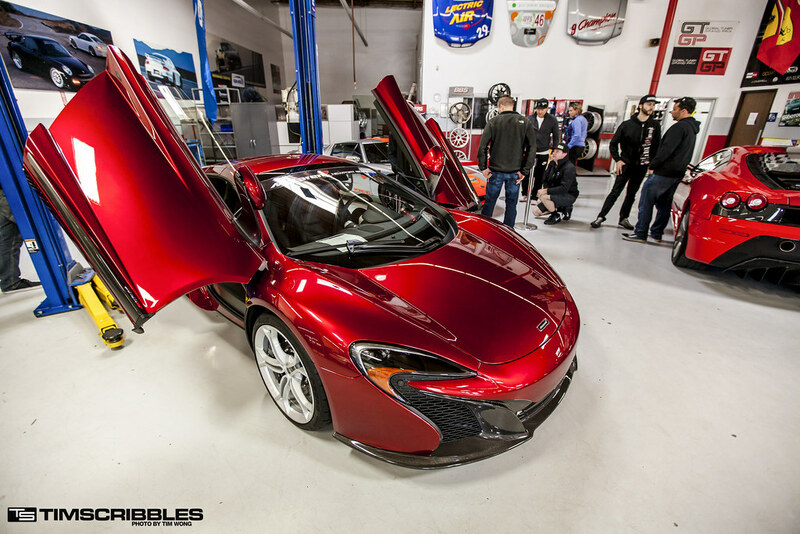 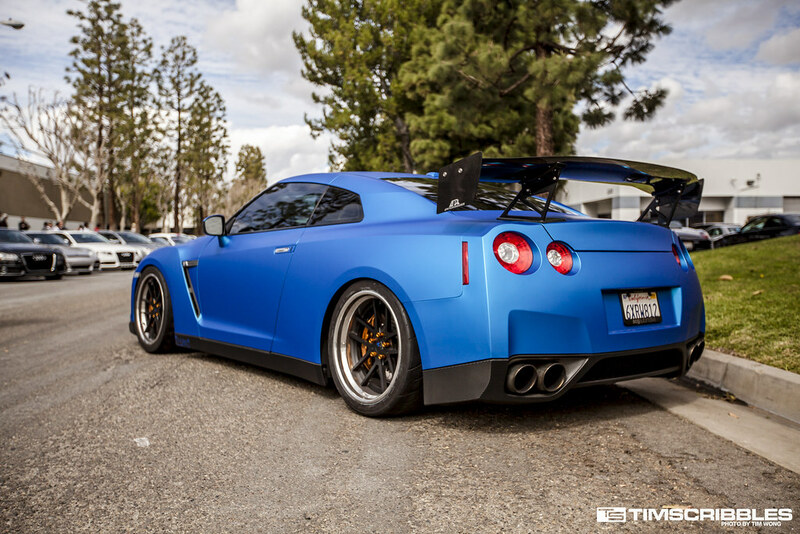 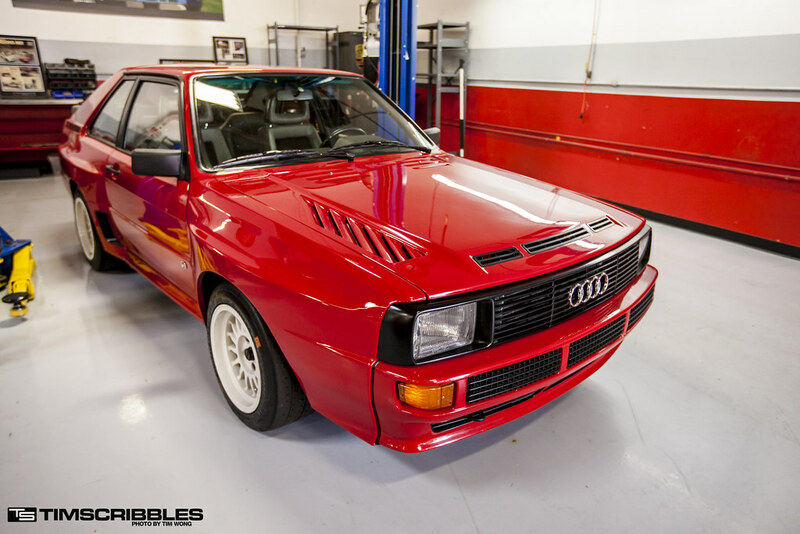 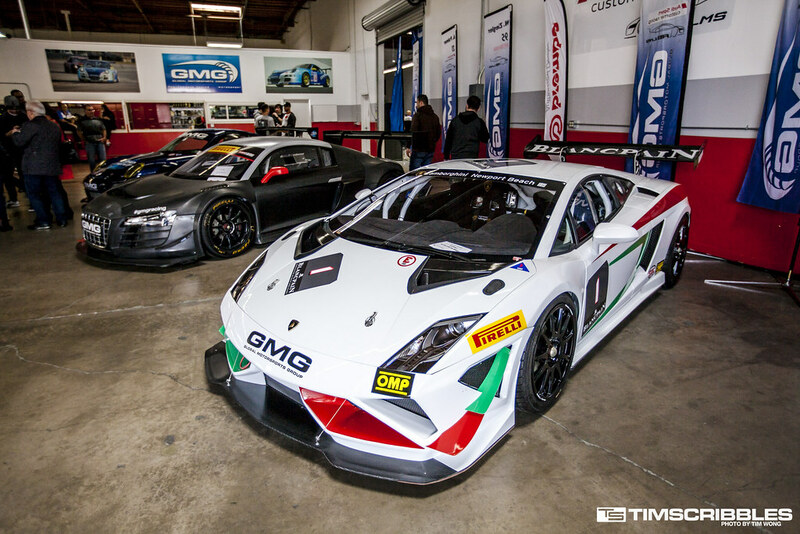 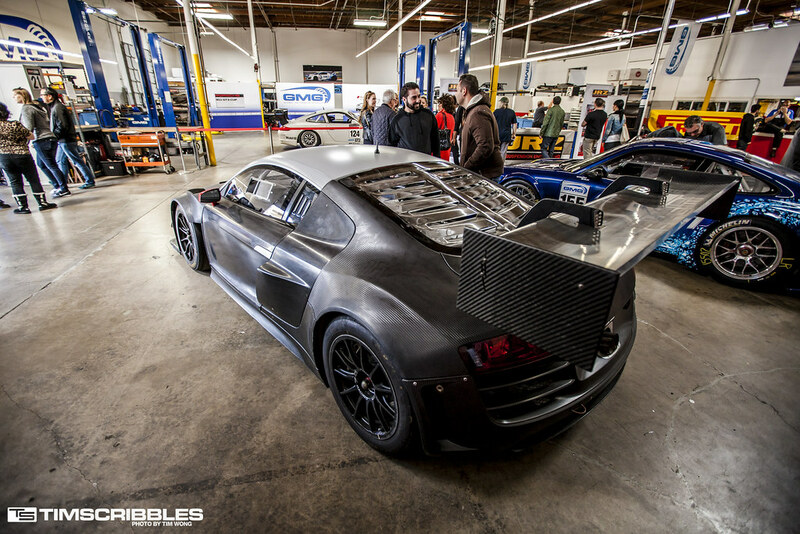 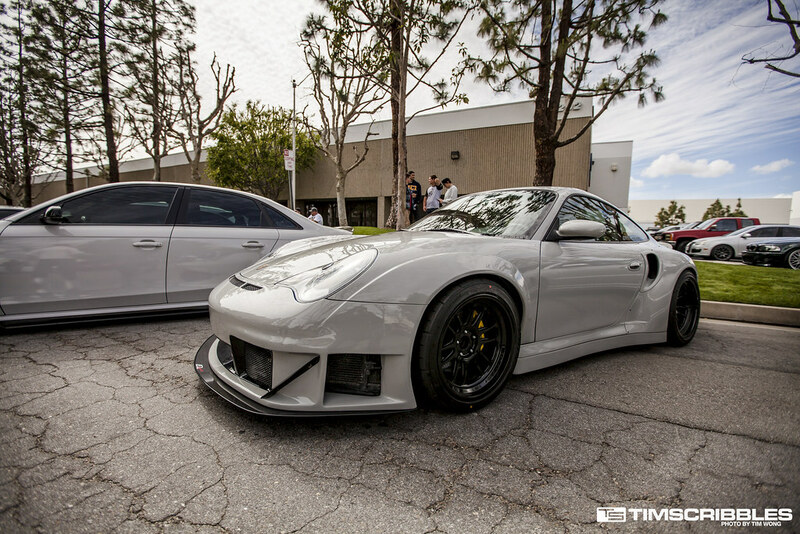 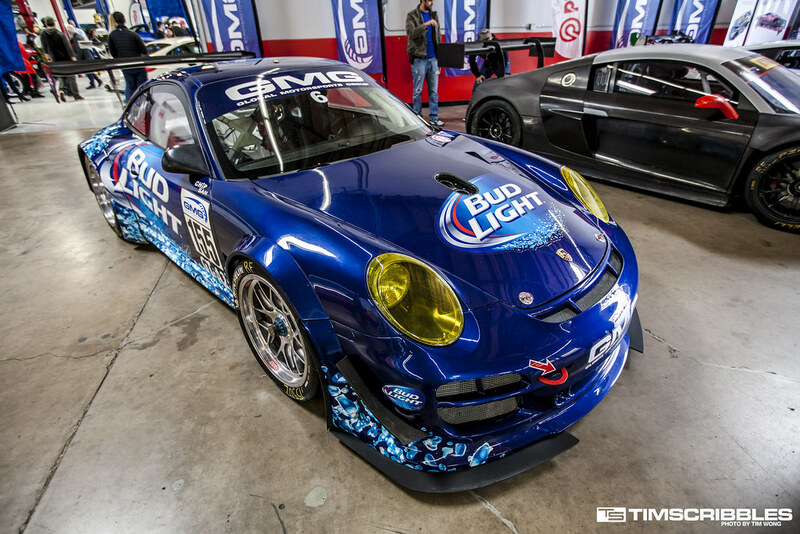 This past weekend, GMG Racing had a big open house event at their facilities in Santa Ana. 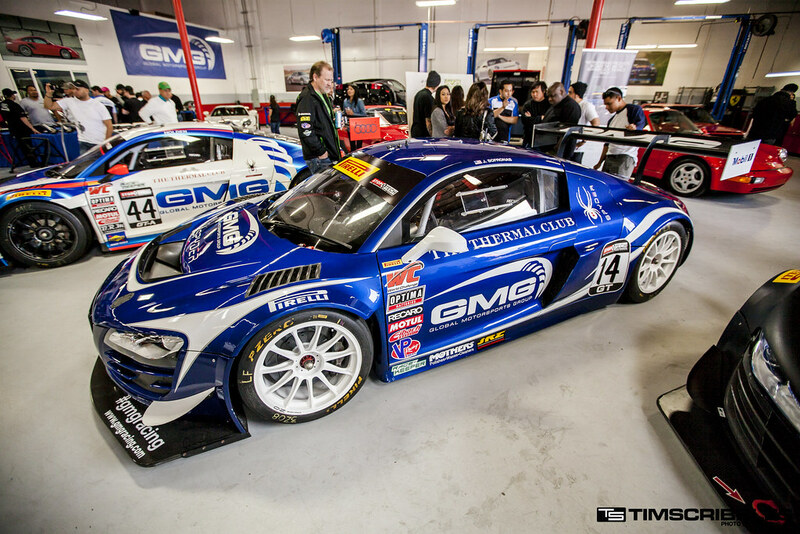 GMG is known for their participation in the Pirelli World Challenge Championship and this event was to introduce their team for 2015. 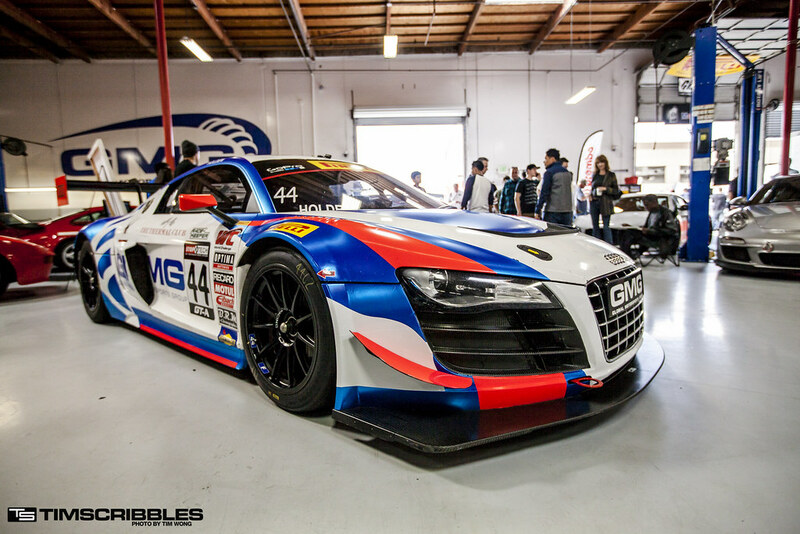 If you followed this blog for a while, we cover the Pirelli World Challenge Championship every year at the Long Beach Grand Prix. 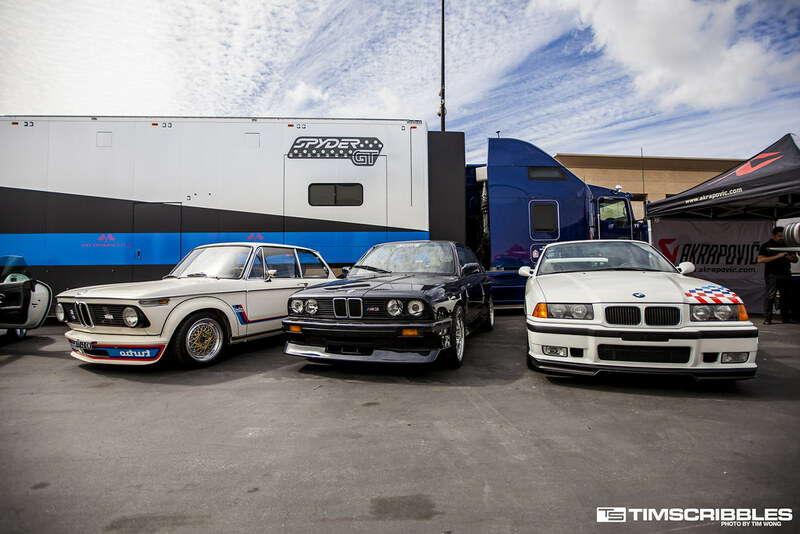 The race cars and the race are one of my favorite races at the Grand Prix. 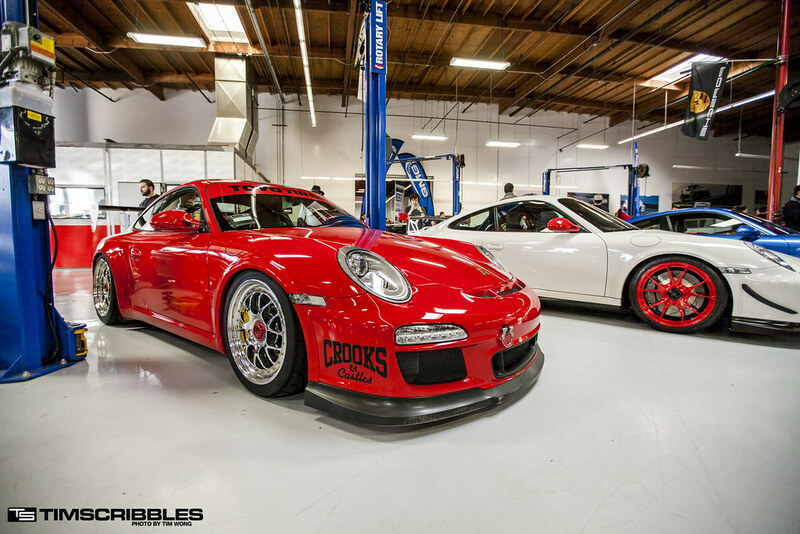 One can get pretty close to the cars during the race seasons, but nothing like being as close to them as in the shop. 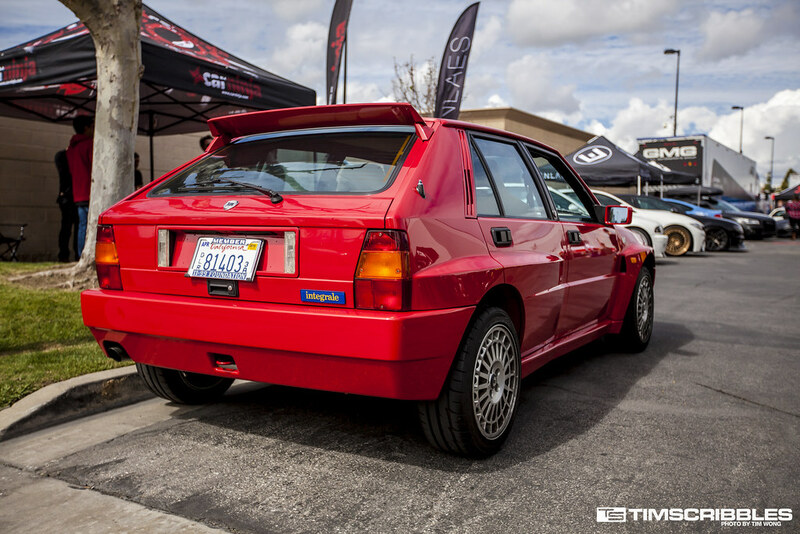 I had never been to the GMG facility before, but the attendance was high and the streets were lined up with cars for several blocks. 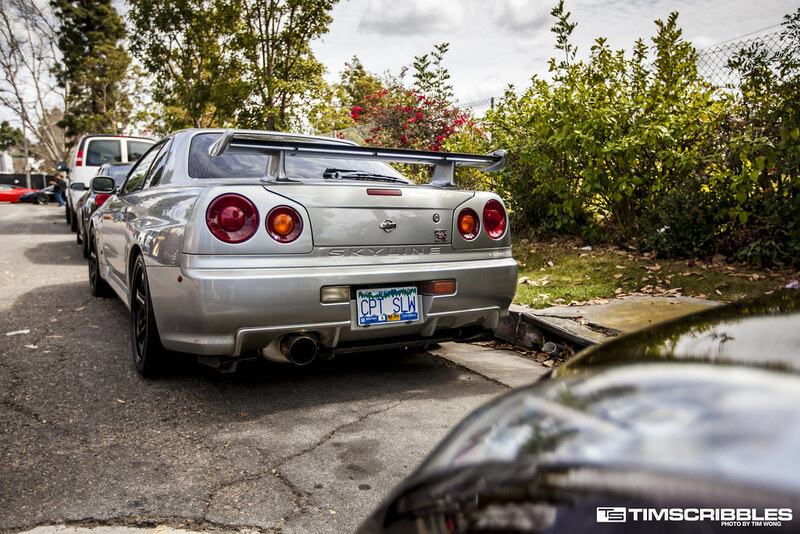 The problem with having an even of this size there was that all the streets were no parking zones 24/7, but with that many cars, people just started to park wherever anyways. 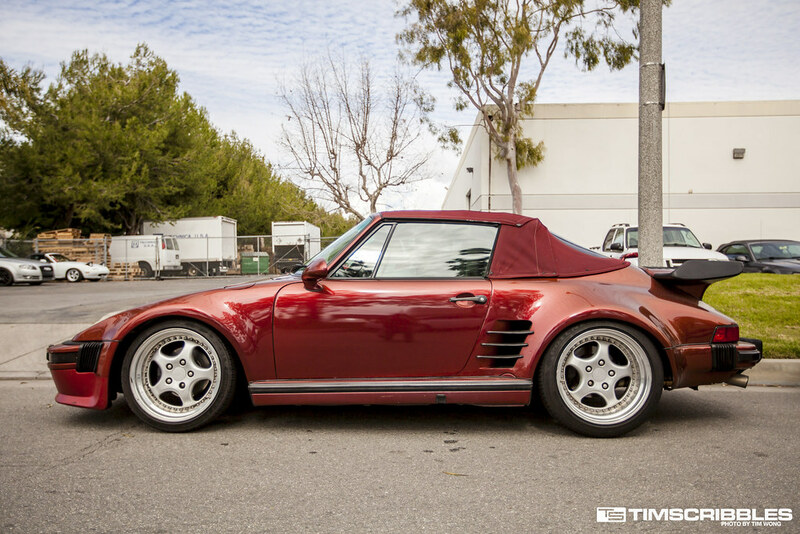 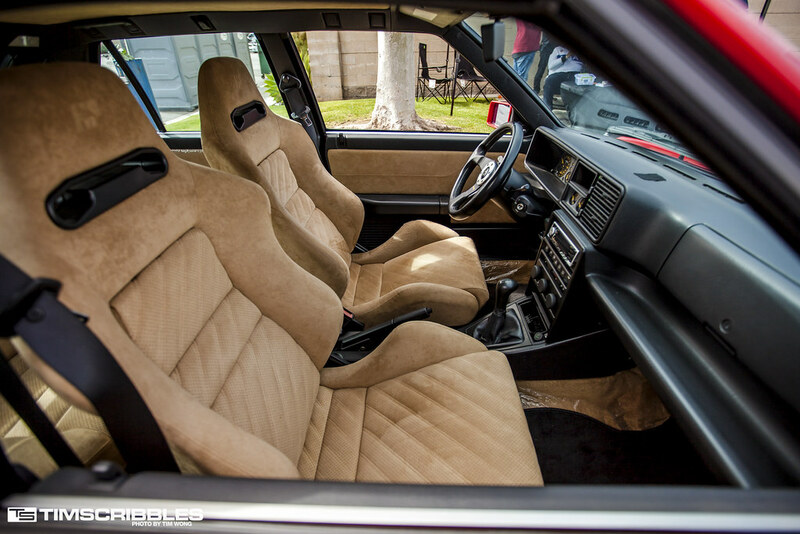 One of the first cars that caught my attention was this Porsche 930 Slantnose. 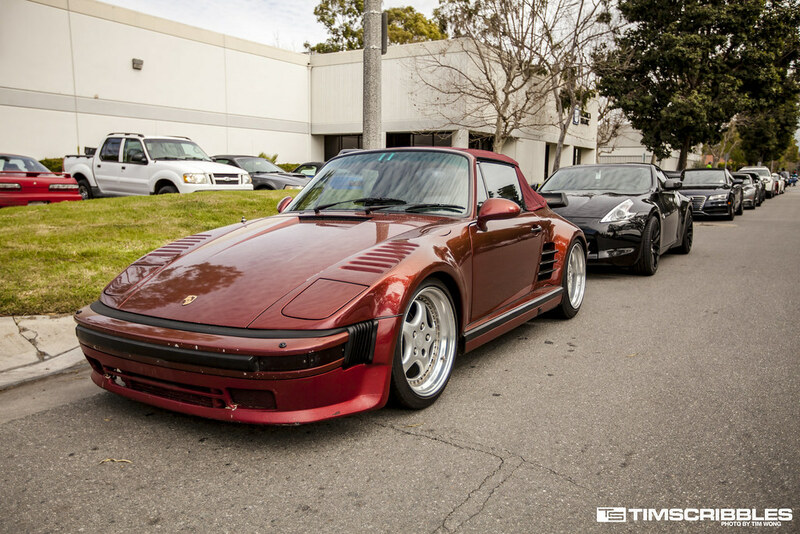 Unlike like most Porsche purists, I love that slantnose because it’s different. 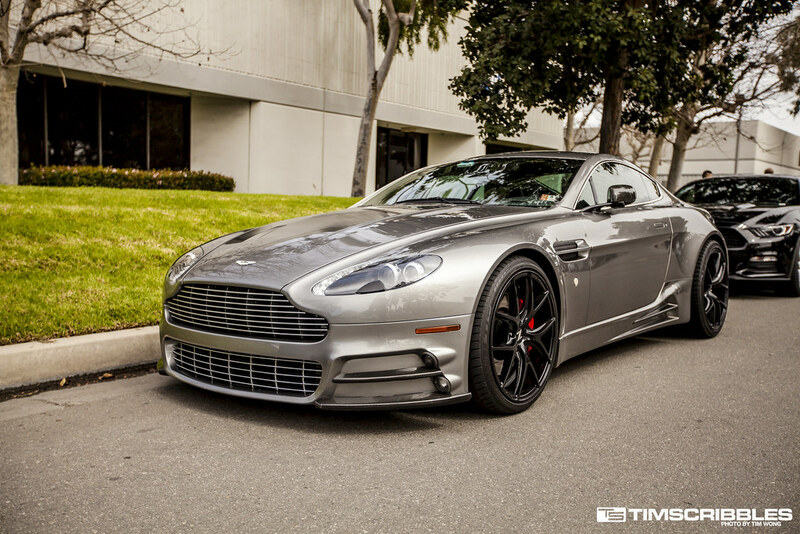 Aston Martin Vanquish, I believe, but the front bumper looks custom. 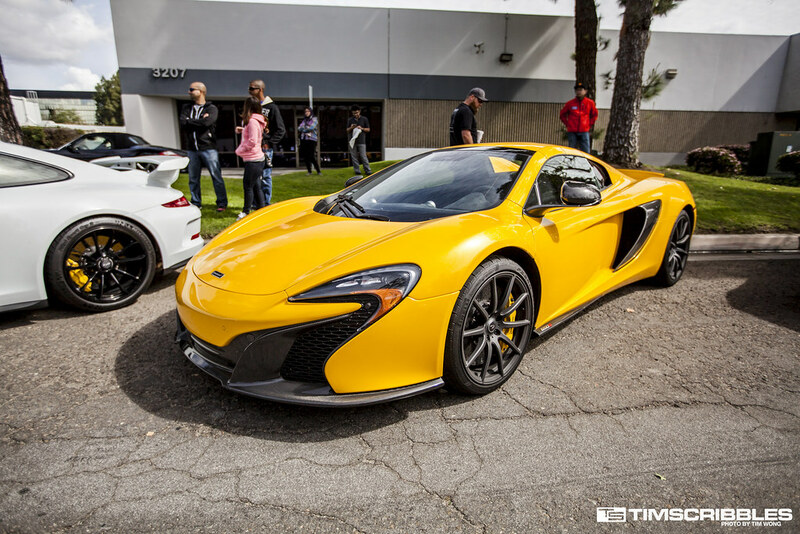 Mclaren 650S looks fantastic in yellow. 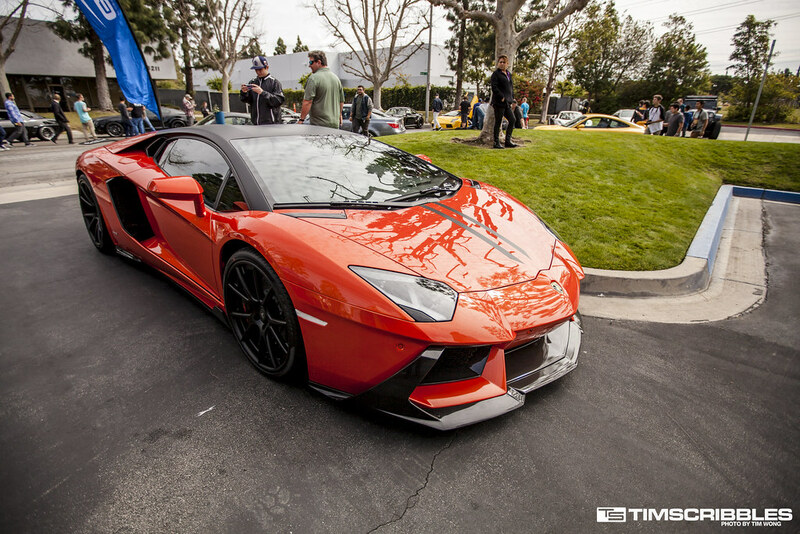 Black Ferrari 458 looks familiar on Vintage 501 HRE wheels, but with a new wide body kit. 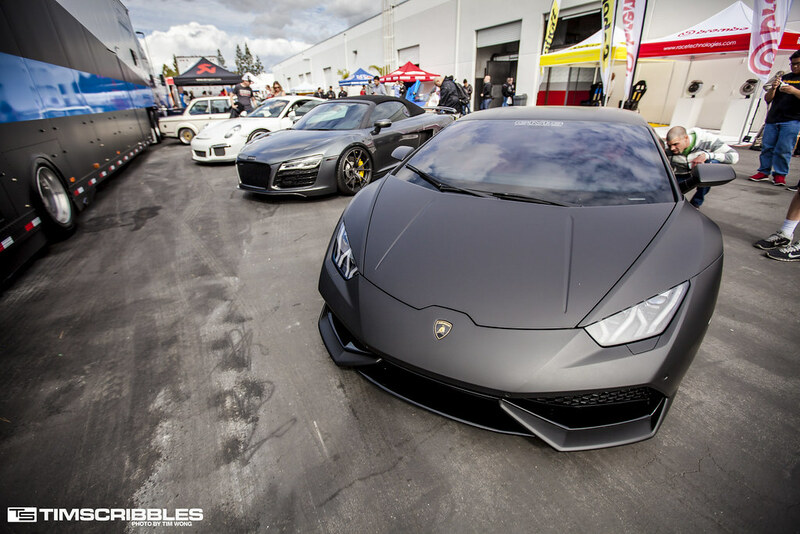 I’m already a fan of the Lamborghini Huracan, but it looks even better in matte black. 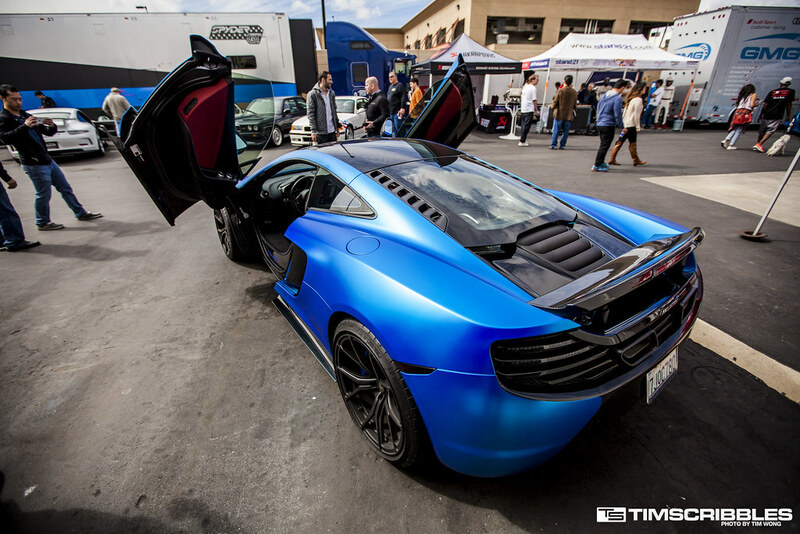 Protective Film Solutions Mclaren MP4-12C with a matte blue wrap. 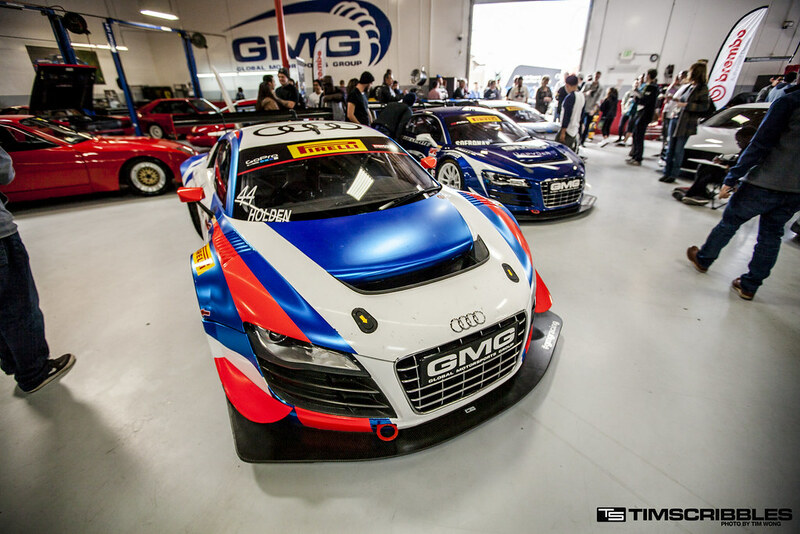 Inside GMG, the shop was massive and filled with all sorts of cars. 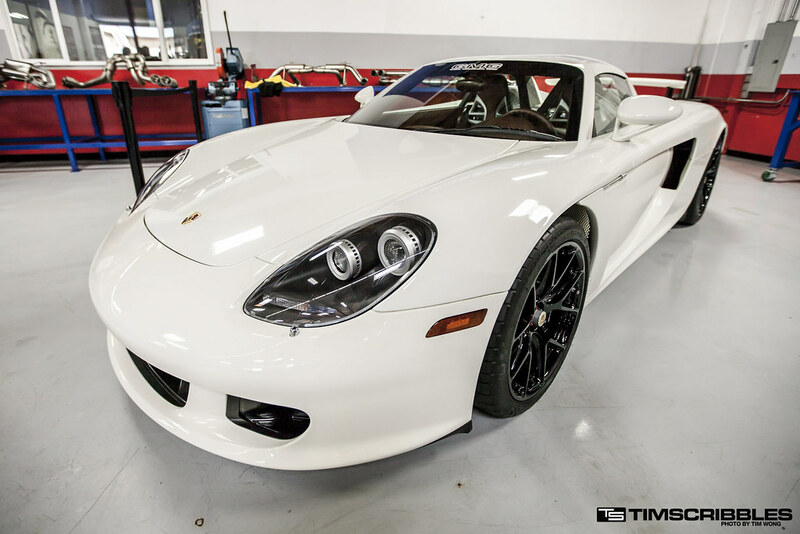 Porsche Carrera GT look fantastic in white.